Bring Your own Device (BYOD) looks set to continue its exponential growth over the next few years, following a rapid spike in adoption since 2018. Originally, BYOD initiatives were an office-based trend; the epitome of workplace flexibility and a viable alternative to laptops and desktops being used to carry out tasks. However, organisations across a wide variety of industries soon realised that by offering Bring Your Own Device options to their workforces, enabled employees to perform their work tasks more productively – and were able to do so from anywhere in the world – using smartphones and tablets. Since BYOD initiatives first began gaining traction across organisations, it has been well established that the costs behind adopting a Bring Your Own Device strategy are proving to be substantially less than owning exclusively enterprise-owned networks as the trend grows. 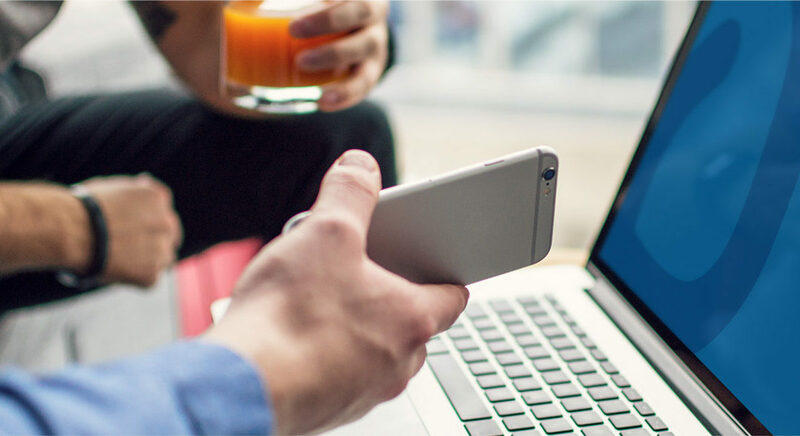 A recent CISCO study revealed that 69% of IT decision makers in the USA were in favour of Bring Your Own Device strategies, because of their cost effectiveness, and indeed, how profitable BYOD is proving to be. Removing the need for enterprise-owned hardware simplifies management and maintenance costs for IT managers – and having cloud-based support further reduces costs across the board. As a result, another study conducted by Markets and Markets revealed that BYOD and enterprise mobility will be worth a staggering $70.30 billion dollars by 2021. Why is BYOD so successful? Despite some initial concerns surrounding security, internal governance and device management – as well as other potential complications – the pros of BYOD are proving to vastly outweigh the cons. With a massive improvement in security, advancements in technology and exponential growth in demand, BYOD is proving to be the best option for enterprise device management. As such, the proliferation and increasing demand for connected technologies is driving the success of BYOD globally. While the BYOD market is currently being led by North America (with adoption rates hitting roughly 50% at the start of the year), BYOD strategies and initiatives have also seen expansion into Asia Pacific markets too. The market here is expected to expand to $66.84 billion by 2019 having quadrupled in size since 2013. Should my organisation adopt a BYOD strategy? The short answer is: of course your organisation should adopt a Bring Your Own Device strategy! At the very least, your company should start thinking about implementation for early 2019. Research by Sapho shows that the average US worker is saving about 81 minutes per week in productivity by using a personal device to carry out and perform work tasks. What’s more, 78 percent of employees that were questioned during this research period revealed that adopting a BYOD policy has supported a better and healthier work-life balance; reducing stress and improving the quality of life among adoptees. This same study also reported that the average employee on a BYOD plan saves a business $1,300 per employee, per year in device and software costs. These types of savings will massively impact the success and bottom lines of small and large organisations alike, regardless of industry. Of course, it’s also important to remember that digitisation is transforming the state of work. Legacy hardware and software is now on a high-speed journey towards becoming completely obsolete, and the 9-5 office-based job role is dying, due to an increased demand in flexible working practices and remote working opportunities, to attract the best talent to an organisation. By looking at the current workforce (and yes, we will be using unfortunate age-based stereotypes for this discussion), baby boomers are currently retiring at the rate of 10,000 per day, with millennials expected to make up 75% of the global workforce by 2025. Organisations are now almost expected to adopt modern working strategies – such as BYOD initiatives – to cater for a younger generation, and harnessing the power of mobile apps to support the future of work. Nutshell Apps makes BYOD adoption easy. Our no code, drag and drop app building platform makes the transition from legacy to smartphone a cost-effective, massively efficient and smart journey for organisations across all industries. Rather than enhancing the pressures on overstretched IT teams, Nutshell allows individual departments to create apps that directly support their workload and tasks, and publish it to their own devices in moments – without the need for complex code base knowledge or software development skills. If you’d like to accelerate your own Bring Your Own Device adoption strategy, get in touch with Nutshell Apps and arrange a demo today.